Soak up the rich history, culture and cuisines of France as you begin your journey in the French capital city of Paris before joining your Emerald Waterways Star Ship. 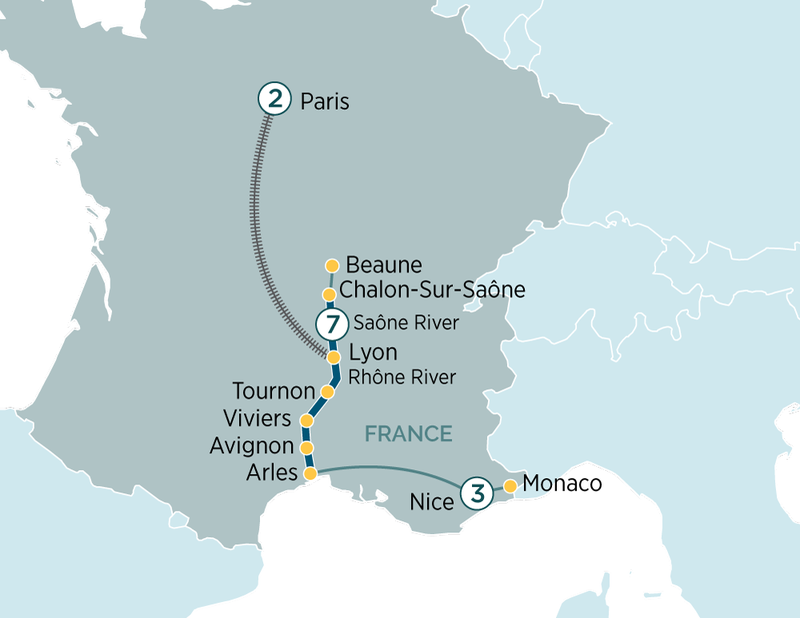 Cruise through the Rhône and drift past provincial wine lands dotted with spirit-lifting heritage towns and ancient cities whose cobblestone streets bristle with culture and epicurean tradition. This memorable sailing introduces southern France in all its iconic style and splendour, from the revered vineyards of Beaujolais to the jovial bouchons of Lyon, the acclaimed culinary capital of the world.